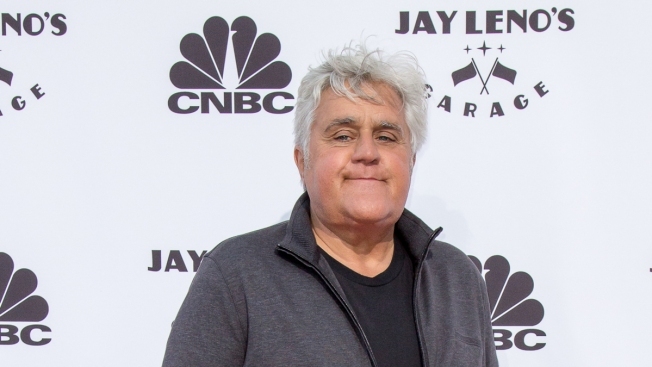 Comedian Jay Leno attends the premiere of CNBC's "Jay Leno's Garage" Season 2 at the Universal Studios Backlot on June 09, 2016, in Universal City, California. Jay Leno's car now qualifies for the popular bumper sticker, "This Car Climbed Mt. Washington." But this was no ordinary car. A television crew filmed Leno's Stanley steam-powered car driving the auto road to the summit of New Hampshire's Mount Washington this week. He tells the Portland Press Herald (that the idea was to recreate the first time a Stanley drove up the mountain in 1899. Leno loves cars and owns more than 150 of them. His show, "Jay Leno's Garage," follows the comedian as he travels around the country to find unique cars.